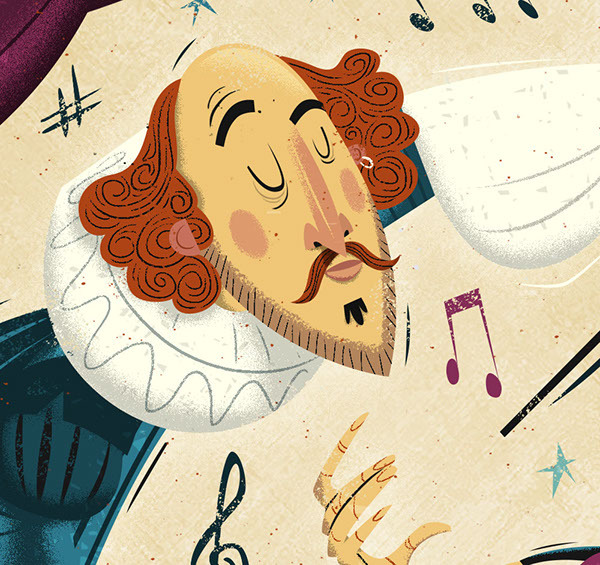 Deputy Design Director: Emily Johnson. 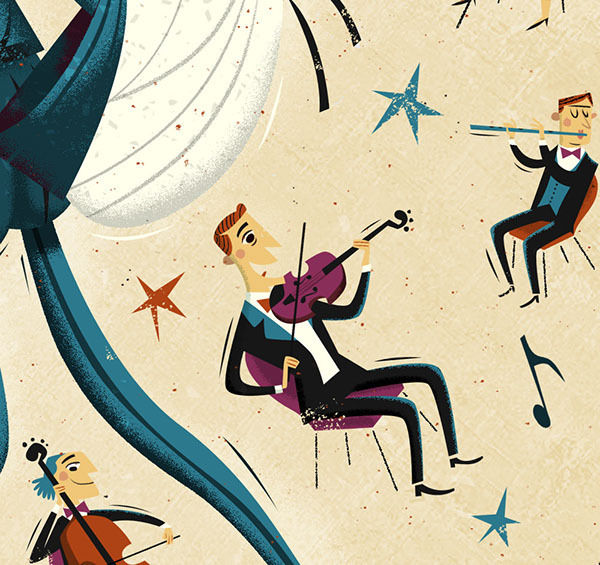 Editorial Illustration for Chicago Magazine. 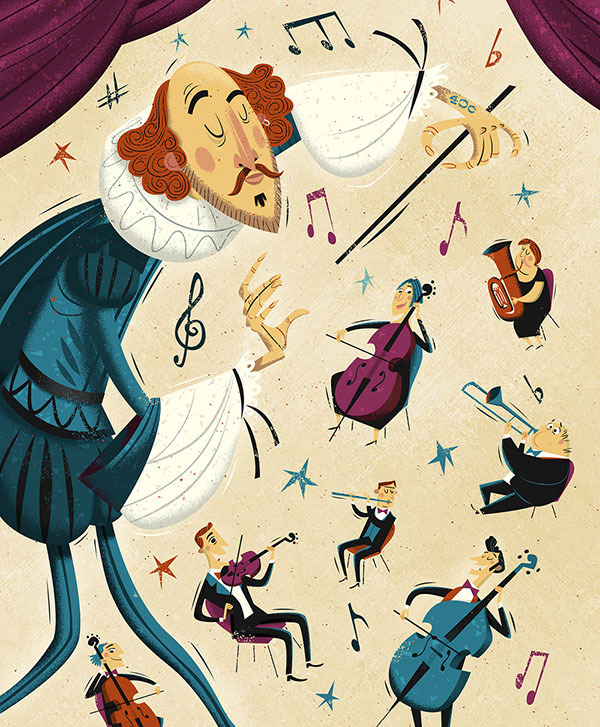 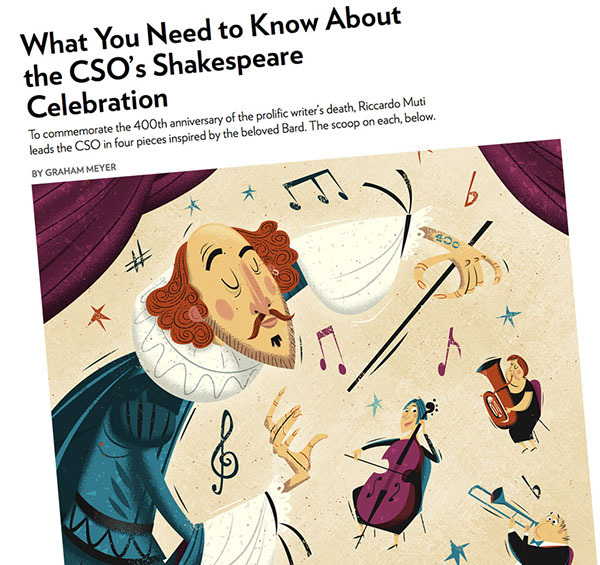 A story about the 400th anniversary of Shakespeare’s death and the Chicago Symphony Orchestra performing four of Shakespeare’s pieces to mark the occasion.